Cordoba is Argentina’s second largest city with more than three million people. With seven universities and a student population of 10%, it has plenty of energy and culture as well as many things to do in Cordoba. Add to that the fact that it has several nearby towns worth a day visit, and we thought it could be a good place to stop off for a week. It was! 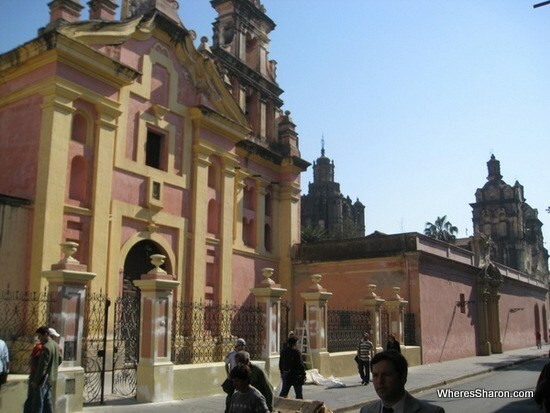 The first thing to do in Cordoba is visit the main plaza. 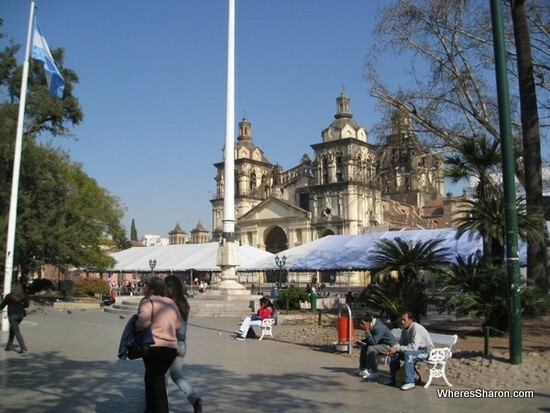 The main plaza has lots of trees, and a high statue of San Martin on a horse. It is lined, like lots of plazas in South America, with the government offices and the cathedral. It has a lot of energy and is a great place to hang out. It is also a useful place to visit, as this is also where you will find a town museum in the former government administration building, and the tourist office which is full of ideas for things to do in Cordoba. Argentina’s first colonial administration was based here before Buenos Aires became the capital. 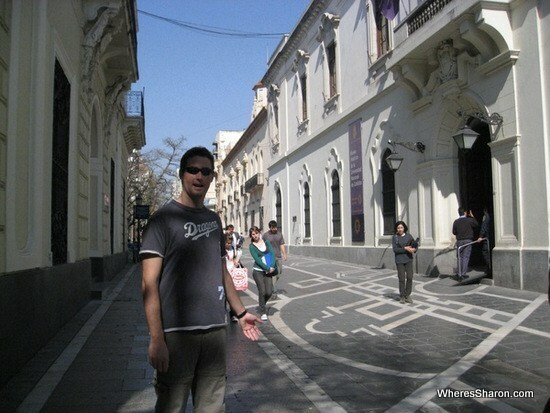 Cordoba is a very walkable city, so I designed a walking tour for us to check out many of the things to do in Cordoba. Our tour started off at the main plaza, then moved on to the cathedral next door. There are a lot of churches in Cordoba. The cathedral looked like it was closed except for tours so we moved on. Our next church was the Monastery of the Carmelites. We couldn’t go into that one either, but it looked quite pretty. The next church down the road was open and so we checked inside. The Iglesia de Compania de Jesus is the country’s oldest church. To be honest the interior, apart from the impressive roof, was much like any other old church in these parts. Our walk took us through the National University of Cordoba area, once the Jesuit College. The national museum is located in part of the campus which we tried to check out but you need to be part of a tour and we couldn’t find one of those to join. Still, the pedestrian malls and streets around this part of town are a great place to walk around. The tree lined streets have lots of beautiful buildings on either side and a very relaxed feel. Parque Sarmiento is a massive city park in Cordoba. Like everywhere in Cordoba it was a lovely walk to get there. We passed lots of big apartment buildings, some very well maintained older buildings and a lovely church. At the park, we hung out by a duck pond for awhile until an egg fell out of a tree onto Josh. Very strange (and gross)! There are peddle boats as well. Another thing to do in Cordoba is to go shopping. There are lots of shops and shopping centres in Cordoba and I had fun picking out a new wardrobe for great prices. 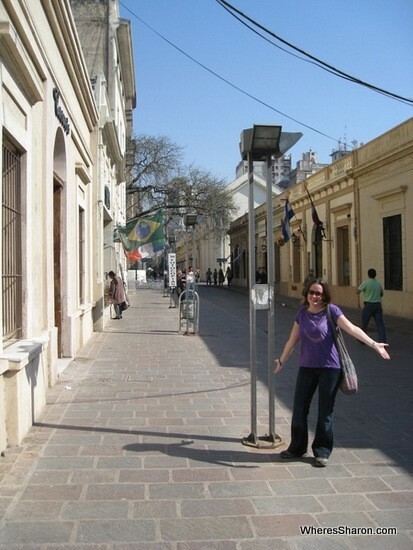 J’s top pick of the things to do in Cordoba is to go paragliding. He had an amazing experience paragliding in the nearby town of La Cumbre. 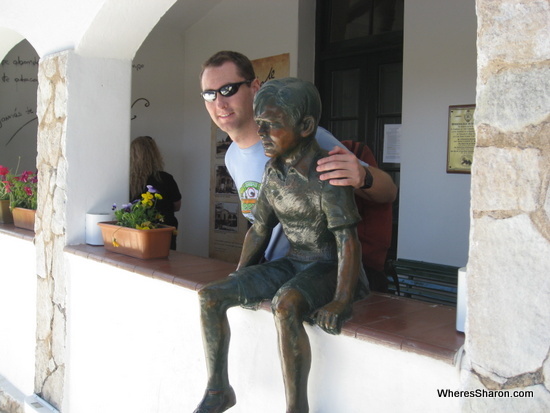 Another small town near Cordoba is Alta Gracia, the site of the childhood home of Che Guevara. One of his old homes are now a museum dedicated to this fascinating man. Read more about our visit to the Che Museum. 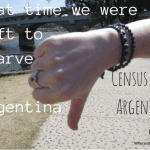 We were not very impressed by the nearby town of Carlos Paz but perhaps that’s because it was census day and everything was shut! You can decide for yourself. We stayed at the lovely Hotel Garden as they had good rooms and a fantastic location. The price was good too! If you click on any of those links, you will be able to see the current prices across a variety of hotel booking engines. Cordoba has a huge bus station and it is not hard to get here from all over the country. 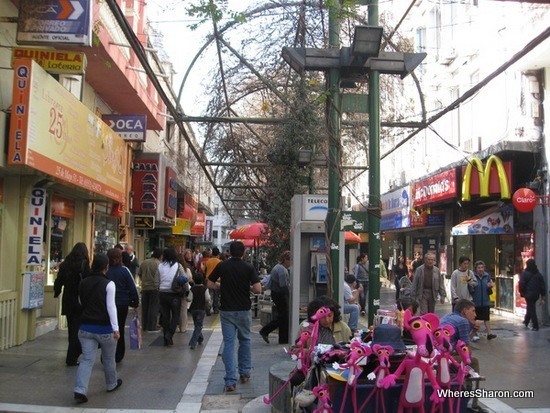 We caught a 21 hour bus ride from Puerto Madryn in Patagonia to get here and our onward journey was to Argentina’s third largest city, Rosario. We liked Cordoba a lot. 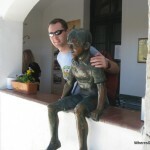 There were lots of great things to do in Cordoba, and it is also a nice place to just take it easy. It has a great vibe and energy and they obviously take their tourism industry seriously (except on census day). Anything remotely of interest to tourists seems very well looked after and the city is very pleasant to walk around. The weather was gorgeous and there’s many surrounding towns of interest. It’s hard to think of any negatives. It’s a bit off the main gringo trail so you don’t find so many foreign tourists but they are well set up for them. There are plenty of English speakers around the place. It really should be a must see on a trip to Argentina and a week is a great length of time to spend here. 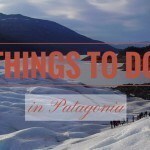 Read more about our travel in Argentina. What is your favourite thing to do in Cordoba? Disclaimer: This post contains affiliate links. This means that if you make a booking after clicking on these links then we may receive a small commission at no extra cost to you. What did our trip cost to the USA and Caribbean? We loved Cordoba but nowhere in the world compares to our beloved Buenos Aires 🙂 It is a lovely city though, and the many interesting towns around it really add to stay there. It just doesn’t have the buzz or massive variety of Buenos Aires. We enjoyed Cordoba. Definitely a nice city to chill out for a while. We also hired a car when we were there to explore the surrounding Sierras – definitely worth a look! That is a great idea especially as there are so many great places in the surrounds. Glad to hear you enjoyed it to. I hope you didn’t have a census while you were there as well lol. Great to hear you both enjoyed Cordoba and its surroundings. I am from Buenos Aires but have moved out to live in La Cumbre, 90 km from Cordoba city. If you ever travel this way, please come to see us at Estancia El Rosario, a 90 year old factory that makes jam and jam or dulce de leche filled biscuits (alfajor). We also have a very good Parrilla where you can seit down to a delicious lunch under the pine trees, and El Cafe which is ideal for tea with cakes, waffles, scons, fruit juicies or even sandwiches, salads and ice creams. And for the adventurous, we also have adventure games such as bow and arrow, climbing (climbing walls), zip line or tyrolean crossing, canopy and more! Estancia El Rosario is a GREAT place to spend a day surrounded by nature and the beautiful Cordoba Sierras. Please look us up on Facebook Estancia El Rosario and contact us should you require further information. 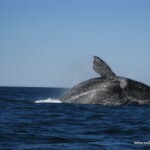 We will be delighted to help you and hope you and your followers can visit us soon. Just spent a few days in Cordoba and actually cut our visit short as we were not impressed at all. Grubby is the word that comes to mind. The main plaza was covered in garbage. Benches could not be used to sit as they were covered in pigeon droppings. Alta gracias was worth the trip and we visited the Che museum and the replica of Lourdes. Oh really? That is such a shame. It was all gorgeous when we were there.